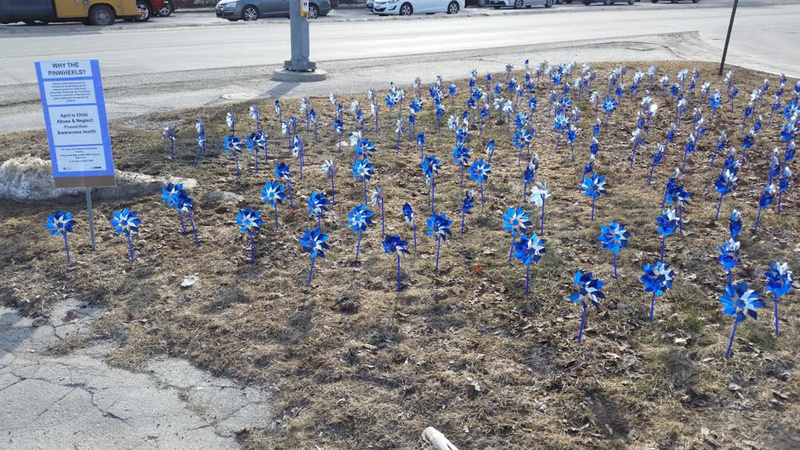 The pinwheels demonstrate the belief that we can prevent — not just intervene in — child abuse and neglect. WATERVILLE — Kennebec Valley Community Action Program’s Family Enrichment Council has planted hundreds of blue pinwheels in the Waterville downtown triangle, as a demonstration of the belief that we can prevent — not just intervene in — child abuse and neglect. April is National Child Abuse Prevention and Awareness month. Pinwheels are the new national symbol for child abuse prevention through Pinwheels for Prevention. Each year, KVCAP mobilizes the Pinwheels for Prevention campaign in Kennebec and Somerset counties, encouraging everyone to take simple actions that can make a big difference in the lives of children. 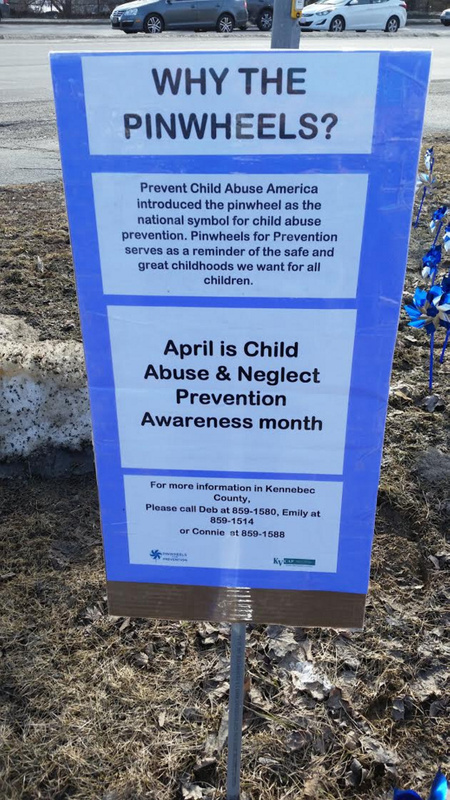 Contributed photo Because April is National Child Abuse Prevention and Awareness month, Kennebec Valley Community Action Program's Family Enrichment Council recently placed hundreds of blue pinwheels in the Waterville downtown triangle. KVCAP also will host several events throughout April. For more information, visit www.kvcap.org.